Why use the Communicative Approach? The Communicative Approach is a English language teaching method that focuses on interaction as an important means of successful study. Through the Communicative Approach, students will not only master the structural elements of the English language but they will also have the understanding and versatility to be able to apply their knowledge in different social situations that arise. This broad approach to teaching is a very beneficial form of instruction and helps the English lanaguge learner develop confidence in their ability to use the language as well as to be competent in grammar and pronunciation. In order to encourage the interaction that is so necessary for accelerated language competency, students learning through the Communicative Approach speak approximately 50%-70% of the class time and receive lots of detailed feedback from instructors to address and resolve any recurring errors. This interactive, dynamic learning environment is more engaging than other language learning styles and programs. The Communicative Approach is a reliable and effective means of learning another language quickly and thoroughly. In order to teach language students how to use the language and be not only versatile but also clear, fluency and accuracy are highly stressed in this language teaching approach. It may be difficult to stress both accuracy and fluency in a short, intensive program but successful language competency evolves only with the mastery of both. In the mastery of fluency, the student will learn how to speak more freely and navigate through a less structured conversation. For a student to be accurate in their use of the language, grammatical structures and strong vocabulary are very important. The Communicate Approach is rare in that it adequately equips students to master both fluency and accuracy and it promotes a love of language learning in the process. Higher attendance rates attest to the fact that students enjoy the language learning process through the Communicative Approach. EES, Executive English Solutions, uses the Communicative Approach in a variety of formats to support the student’s language acquisition. Their instructors are all native speakers with professional training experience and they are all thoroughly trained to teach the Communicative Approach. Let the communicative approach work for you. 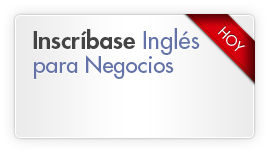 Contact Instituto de Ingles Executive English Solutions Chile Today!